Happy Black History Month! Says A.C.T. Community Programs Coordinator Stephanie Wilborn, February “is a time to honor, pay respects to, and take pride in our history that made us and continues to make us the beautiful, strong and resilient community we are today.” In celebration, Wilborn and A.C.T.’s Education & Community Programs team are kicking off the first annual Every 28 Hours Black Arts Festival showcasing local black art, culture, and activism tomorrow, February 3, from 3 to 10 pm at The Strand Theater. 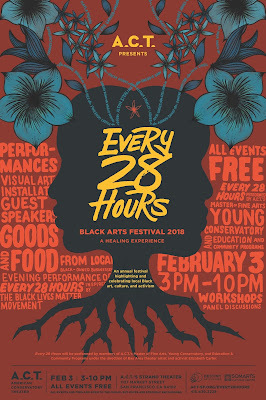 Artwork for the Every 28 Hours Black Arts Festival. By Kim Rhee. The theme of this year’s festival is A Healing Experience, which will focus on resilience and joy in the face of the struggle against police brutality and racial oppression. In keeping with this theme, the festival will feature free events that aim to be uplifting and empowering, including a movement workshop that will explore hip-hop as an act of social justice and a meditation workshop inspired by Martin Luther King, Jr. Additionally, there will be performances by Bay Area spoken-word artists, musicians, singers, and dancers, as well as goods and food for sale from black-owned businesses. The Strand lobby will be adorned with art pieces in an exhibit called The Black Woman Is God: Divine Revolution, curated by Karen Seneferu. The festival will come to a close with performances from Every 28 Hours, a series of one-minute plays inspired by the Black Lives Matter movement. Co-created by Dominic D’Andrea of the One-Minute Play Festival and Claudia Alick of the Oregon Shakespeare Festival, Every 28 Hours takes its name from a study that found that statistically, a black person is killed every 28 hours by law enforcement in the United States. 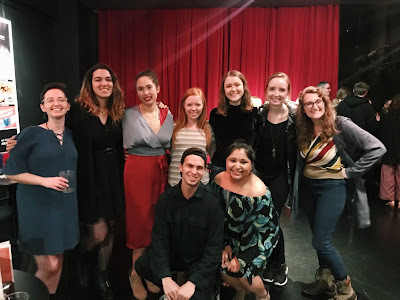 These performances will be presented by members of A.C.T.’s Master of Fine Arts Program, Young Conservatory, and Education & Community Programs, under the direction of Bay Area theater artist and activist Elizabeth Carter. 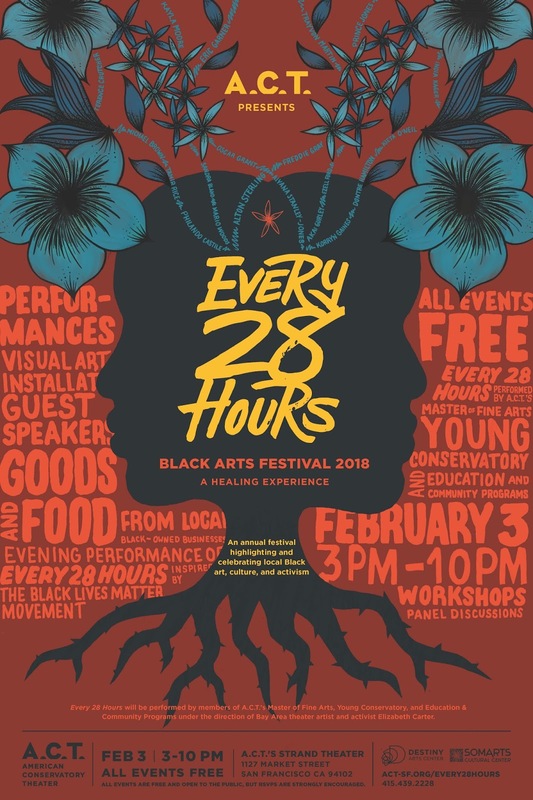 All events at the Every 28 Hours Black Arts Festival are free and open to the public. Due to limited space, RSVPs for the workshops and panel discussion are required; RSVPs for the evening performances are strongly encouraged. 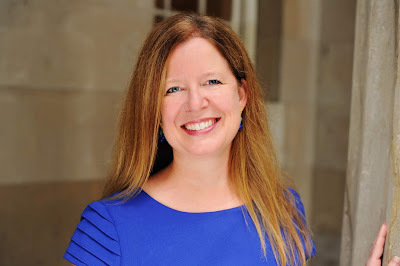 To view the schedule and reserve a spot, click here.